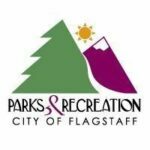 City of Flagstaff Recreation Services is proud to present the Tenth Annual Flagstaff Children’s Music and Arts Festival on Saturday, August, 19th from 10:00am – 2:00pm at the newly remodeled east side of Bushmaster Park (3150 N Alta Vista). Voted 2009’s Most Outstanding Cultural Event from Arizona Parks and Recreation Association, this family-friendly event includes an instrument petting zoo, dance performances, and tons of painting, coloring and crafts throughout the afternoon. ALL activities are FREE! We are getting excited for BUBBLE PALOOZA on May 6th (National Bubble Day)! Who will be joining us? We know Whole Foods Market, Naked Mobile, The Print Raven, FUSD FACTS Program, and Boys & Girls Club of Flagstaff will be partaking in the FUN!